When he picked up the violin at 10 years old, Nick fell in love with the instrument’s beautiful sound; but in the back of his mind he always wanted to play guitar like the gods of rock’n’roll: Jimi Hendrix, Eric Clapton, Jimmy Page and the like. Armed with a 6 string Viper since 2009, he has been living that dream every day. 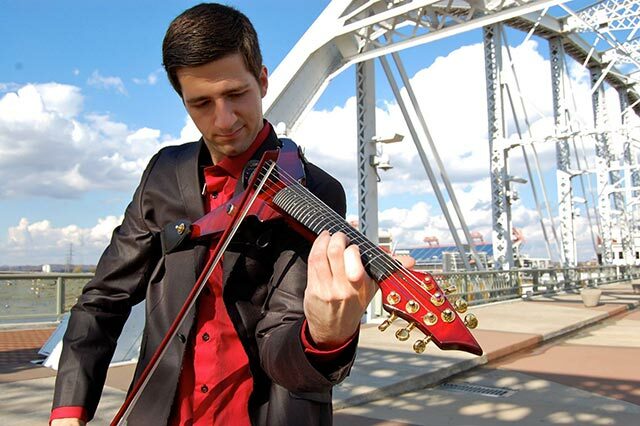 A student at Belmont University in Nashville, Tennessee, Nick studied classical violin under Elisabeth Small, and now studies jazz and rock with Billy Contreras and Tracy Silverman. Nick has also attended the Mark Wood Rock Orchestra camp since its inception in 2010, studying with Mark Wood, Rachel Barton Pine, and Tracy Silverman among others. An enthusiastic and dedicated performer, Nick now plays with the Harbingers of Awesomeness, an electric string quartet comprised of MWROC alumni all living in Nashville.